Is it just me, or is anyone else bothered about all the rumors and predictions that seem to dominate the technology news stream? I would hazard a guess that more top articles in the technology space are gossip or guesswork than actual reporting. meaning “Ovum analysts forecast that…” But the article even reads “The Asia Pac app market will hit 5 billion downloads by the end of the year with revenues from mobile phone apps poised to reach $US871 million.” It’s only several sentences later that you find that this is a prediction. This one uses weasel phrases like “Research points to” to avoid admitting it’s a prediction until the next paragraph. Such analysis may indeed turn out to be true, but it’s reported as if it’s already fact. Closer inspection usually reveals flaws in such predictions as well, for example in the app store battle, percentage growth rates are extrapolated as constants. Give that the Android marketplace is smaller than the Apple (AAPL) one, it has a lower numerical growth rate at times, but always a higher percentage growth rate. So if you project that rate as constant into the future you get monstrous numbers that are of course ridiculous. Numerical quantities of actual increase in apps on a regular basis are far more accurate. If you take those numbers, and look at their rate of increase, you can make a much more reasonable estimate of what will happen. You see how easy it is to get confused in the details of these predictions, which frequently turn out to be wrong though that isn’t discussed as much. But to report such as fact is lunacy. 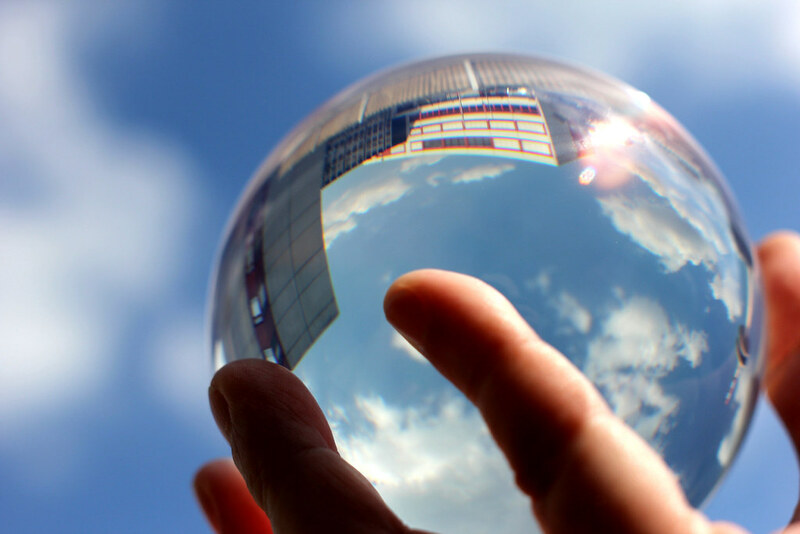 If you get a chance read Future Babble: Why Expert Predictions Are Next to Worthless, and You Can Do Better by Dan Gardner. It’s very interesting. Most of these examples come from the mobile space, which at the moment may be worse due to Apple mania, but the problem is pervasive. “Al Gore Lets Slip Secret IPhone Launch Details”, “Gore’s loose lips let new iPhones slip”, etc. What Gore said was “the new iPhones coming out next month”. Based on other rumors (that may or may not turn out to be true) that there will be two new iPhones coming next month, people construed Gore saying “iPhones” to mean two models. One could just as easily construe this to mean that a lot of iPhones will be sold. Maybe Gore just meant “You’re all going to have your iPhones”. Who can say? Sure, you can speculate and such nonsense, but you could just as easily throw a dart at a dartboard to get such accurate forecasting. I understand the lure of reporting first, of being the first one to figure things out, or speculating about what may happen. The issue isn’t the speculation, but rather the attempt to pass speculation off as truth. As a reader, I tend to be critical in choosing who and what I read so that I have some chance of seeing the real trends. I look for realistic assessments, and try to understand the methodology. If it’s suspect, fine, but if it’s suspect and disguised, then I have a problem with that source. Open honest coverage is in everyone’s benefit.